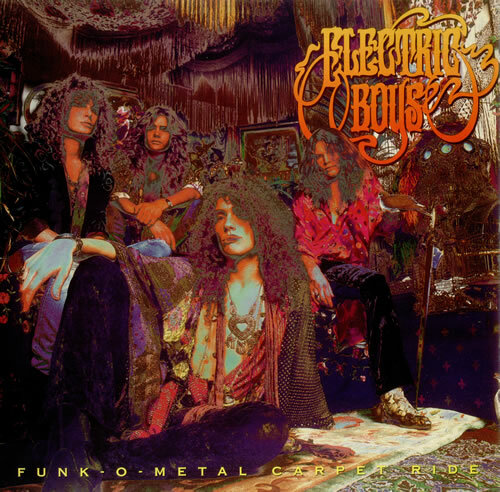 I found out about Swedish funk rockers the Electric Boys when their single Electrified appeared on RAW Power in 1990 or 1991. I then obtained a track - Into the Woods - via a covermount cassette from one of the metal mags (possibly RAW, possibly Kerrang, possibly the other one whose name escapes me right now). The Electric Boys introduced me to the concept of signed bands that didn't have chart hits (although Wikipedia tells me they did have a minor US hit - #76 - with All Lips 'n' Hips from this album. This lack of success bewildered me, particularly after I fell in love with Mary in the Mystery World from their follow-up album, which I purchased on 12". Then, glory! On a trip to Newtown with my brother I discovered both Electrified and Groovus Maximus - its follow up - on CD for £3.99 each. Needless to say, this freshly minted student (thanks to a well-paid summer job surveying Powys' rivers on behalf of the NRA - no, not that NRA) snapped both up. 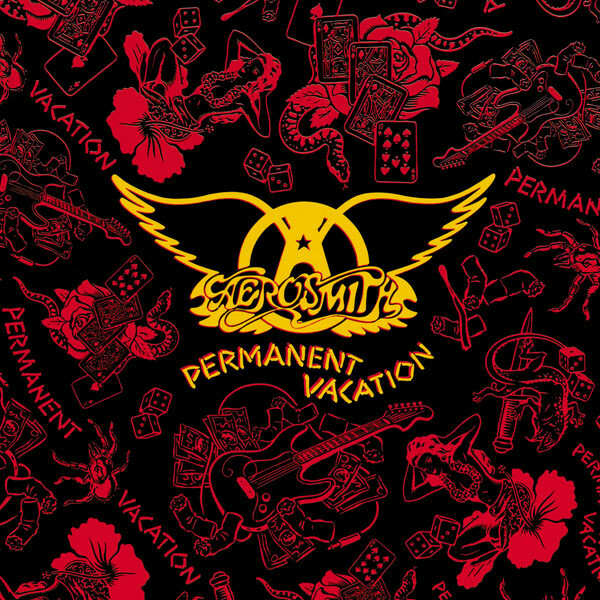 I discovered Permanent Vacation in the summer of 1990 - it came into my life at a particuarly difficult time (read, typical teenage crisis) for me, and can remember listening to it on loop for a few weeks at least. By this point I'd already "discovered" the band through Walk This Way (with Run DMC), Pump, Greatest Hits and even Done with Mirrors, the previous album and flop. Yet Permanent Vacation sticks in the mind for the reason above, and represents a band on the way back up. As I recall, the single Dude (Looks Like A Lady) was re-released in the UK after Love in an Elevator to become Aerosmith's second UK top 20 single, which probably explains how it came to my attention. This album sticks in my mind because I might have bought it in Swansea in late 1990 after travelling down for a university interview. I'd arrived by bus, but after the (one and only) bus back failed to show up, I was forced to ring home and wait for my mother to drive all the way from mid Wales down to Swansea to pick me up (sorry mum!). While I sat in the train station waiting and reflecting perhaps on being truly alone and stranded for the first time in my life (there were fewer trains and I wouldn't have had the money to get one anyway), I listened to this album on cassette for the first time. By this time, four singles had already been released from the album so it wasn't completely new. Among the many highlights was the song 'An Englishman on Holiday' - a great send-up on the Boozy Brits Abroad culture that was fast developing. There's little about Britain or England to be proud of right now, but I remember feeling absurdly pleased that this rock group was unashamedly showing off its roots. I'd eventually see them live at Donnington in 1992.